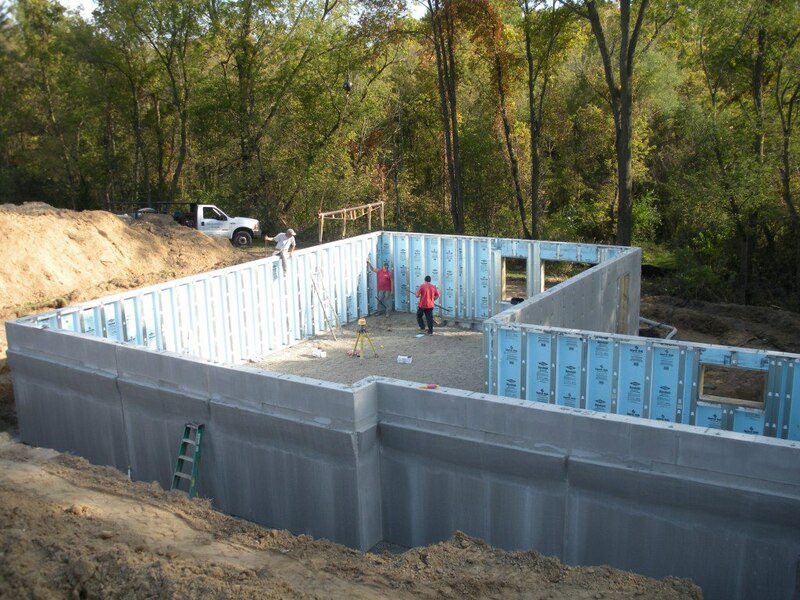 Our basement walls are all set, done in one day. I have some video I’m working on uploading to YouTube, but it is exciting to see things started. The frost wall extension under the walk-out section of the basement keeps filling with water. I’m going to try renting a mini-excavator this weekend and install some drain pipe that goes to day-light. I’m hoping I have enough drop, otherwise I’m going to have to put in a french drain.